Enhance your look and outfit with a wide range of women and men's scarves whether you love printed, satin, cashmere or knitted styles. You can choose among brands such as Sanwood, Versace and Winwintom among others. Mix and match and be as playful as you want by choosing the cheapest deals on these scarves, no need to worry about going beyond your budget. Save on your next online purchase by using voucher codes which will give you a bargain price on these lovely items. Special offers are available from River Island, Urban Outfitters, MandM Direct, Topman, allbeauty, Debenhams and Matalan. Where Can I Find Cheap Scarf Deals in the UK? If you want to revamp your OOTD by getting a scarf, you have come to the right place. From chiffon, lightweight, furry to classic scarf – you will definitely not run out of options to choose from even if you are in a tight budget. 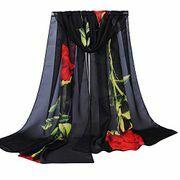 Get scarves UK from Latest Deals and take advantage of the best savings around. We have updated voucher codes, discount codes, price drops and special offers that may get you fashionable and functional scarfs in no time. We have a community of bargain hunters and a team of money saving experts who regularly look for the best possible deals around the UK. Take advantage of amazing discounts and savings from retailers including Amazon, ASDA, eBay, MandM Direct, Oliver Bonas, Primark, River Island, Topman, Urban Outfitters, White Stuff and Zububaby. Amazon. 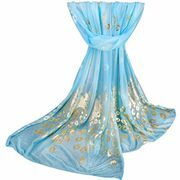 Buy women’s scarves and wraps on a budget at Amazon. Get yourself a 100% Cashmere Scarf which is available in various colours. Shop from these top fashion brands. Take advantage of accessorize scarves and use discount codes from Latest Deals to get some money off. You can also get additional exclusive discounts and even free delivery if you’re an Amazon Prime member. ASDA. From womens scarves, knit scarves, and snoods, you can shop for the best scarf online at George ASDA. The amazing range of cheap women’s scarves will definitely complete your ensemble all under £10. eBay. 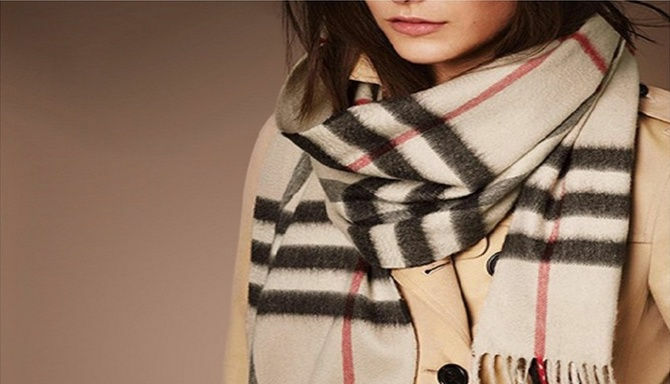 The retailer has a wide array of discounted men and women’s scarves including cashmere, silk, pashmina scarf, monsoon scarves and silk scarves UK. Cheap quality scarf here starts at just £1.99. MandM Direct. Check out the cheap scarves of MandM Direct and get at least 75% off from your purchase. This will surely look perfect on your scarf collection. Aside from this, choose from their wide selection of affordable men, women & kids clothes, footwear and accessories too. Apply voucher codes and discount codes to save more from your purchases. Urban Outfitters. Stay warm during the winter seasons with the women’s scarves, ponchos and shawls of Urban Outfitters. Apart from these, they also have bandanas that you can feel cozy with for sure. Match these to your clothing without hurting your budget. Use discount codes to get the perfect style on an affordable price. Check on the site of the retailer for more information. Choose the right color. When you pick the right color, you must take note of one which is going to compliment your skin tone. For instance, yours is light, then it is not wise to buy a scarf that is too bright. On the other hand, if you are darker, the same is also true. Eventually, it would look good if you want to mix it with a coat or jacket too. Just balance the two out. Go for opposite colors when matching with coat and scarfs. The thicker and coarser your coat is, the thinner of finer the matt must be. It goes the opposite afterward. At the end of the day, it is just a matter of mixing and matching. For example, a black scarf is the best with a brown coat. A black leather jacket on the other hand is fine with a thick white one. All of these are going to look good for males and females. Select the Right Size. It really depends upon your preference. However, the bigger has always been the better. Just ensure that you can still tour your scarf around your neck just once without having to tighten it, then after – must still be able to have remaining bits which hang loose on your both sides up until your waist. This may work best too. The Best Fabric. The truth is, your scarf will go very close to your face. It is one of the few things you will notice during winter. In that sense, you would surely not want to sacrifice its quality because that may be dangerous to your skin. Avoid synthetics. As much as possible, go for linen, silk, wool and cashmere. There is also a good quality polyester that may look gorgeous too. Follow Patterns. Scarves may not only be elegant, they can be fun too. There are plenty of them you should be ready for. Patterns have always been daring in nature. A simple tip will bring you places here – follow the same rules: when it comes to colourful scarves, do not pair yours with a pattern coat. That is already an eye sore. Get into Shape. As much as possible, you might want yours to be simple. There are details and ethnic patterns which appear to be happy; however, you must be careful with flounce or overly feminine details. This is another consideration you should take into account when picking the best scarf for you. These are simple rules to live by in picking the right scarf for your ensemble. Do not forget to ponder on this.